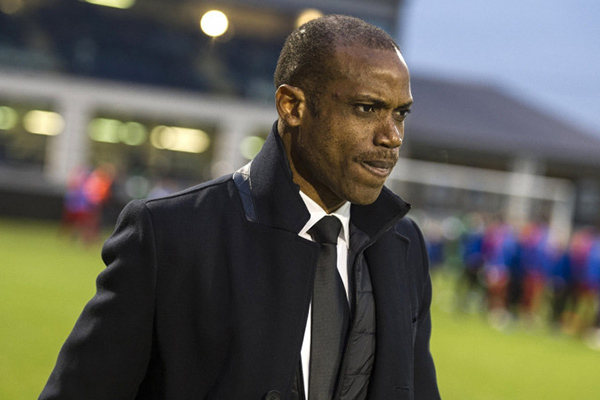 For er Super Eagles coach, Sunday Oliseh, who was placed on non-active duty by his second division Dutch team, Fortuna Sittard has accused the club of sacking him because of his refusal to participate in what he termed "illegal activities"
The 44 revealed this on his twitter handle some hours ago, in response to the news of his suspension by the club, despite being on the verge of getting the club promoted to the Zenith of Dutch football. Earlier in the day, the club had released a statement that said the Nigerian was being suspended for "unacceptable behavior. The statement further said: "Several attempts by the club to encourage a change in the coach's behavior have unfortunately not worked, resulting in an unworkable situation,"
"The board of Fortuna Sittard emphasizes that the decision to suspend Sunday Oliseh is not motivated by the current sporting performance." "The coach's unacceptable behavior has made cooperation between many people within the organization impossible - from players to employees." "Fortuna Sittard regrets the decision, but states that the club interest goes above all else." . Both parties have come out with contrasting messages and it is hard to decipher who is correct amongst the two parties. The club appointed Oliseh in December of 2016. While the team finished 17th last season, they are currently 3rd this season. He club, under his guidance won the "second period" of the league, which is made of four periods.